The best VPN service right now is ExpressVPN. It's the best all-round option for speed, privacy and unblocking websites. A very close second place is NordVPN, which boasts the admirable combination of fast speed, strong security and affordable pricing. And the third best VPN for 2019 is IPVanish, which is another very reliable VPN that we like a lot - particularly the way it handles P2P and torrenting. 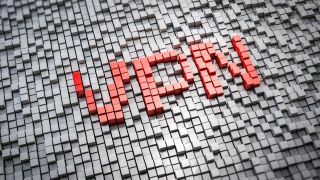 Read more about these VPN services and more below. With a name like StrongVPN, you expect a VPN service that will be a heavyweight when it comes to privacy and security. So of course there's the usual array of zero-logging, minimal personal information gathered at the start, no information selling and turn off-able cookies. All of which is admirable - we'd just have liked to see a bit more specific detail readily available on the provider's website without digging into the 1,000+ pages of small-print. Outside sheer brawn, StrongVPN takes something of a minimalist approach, favouring strength over style. But what it does, it does with aplomb. For starters, you have to applaud the decision to include the ability to connect up to 12 of your devices at any one time. So that will cover your desktop, laptop, mobile, tablet, streaming device and...well, a fair few more. It's certainly sparser than some of the competition in terms of numbers. Read up and down this page and the 650-odd servers, 46 cities and 26 countries perhaps feels a bit short. But what that doesn't reveal is the performance on show from StrongVPN, with some of the best connection speeds we've seen from any provider. With the exception of the Poland server (for some reason), our test speeds were impressive across the board. And if you're seeking the best VPN to unblock streaming sites like Netflix and BBC iPlayer from overseas, StrongVPN is looking like a powerful choice, too. You can see for yourself with the provider's 30-day money-back guarantee.